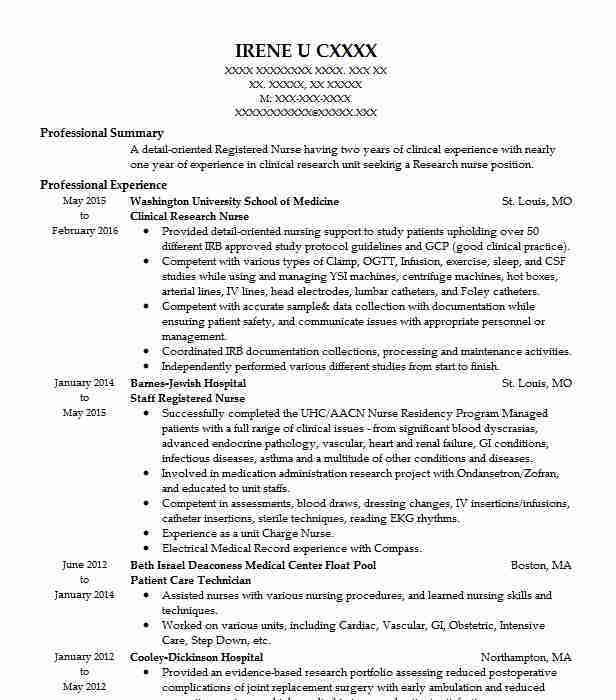 Committed Clinical Research Nurse dedicated to implementing and overseeing various clinical research projects. Adept at maintaining accuracy through astute observation and attention to detail. 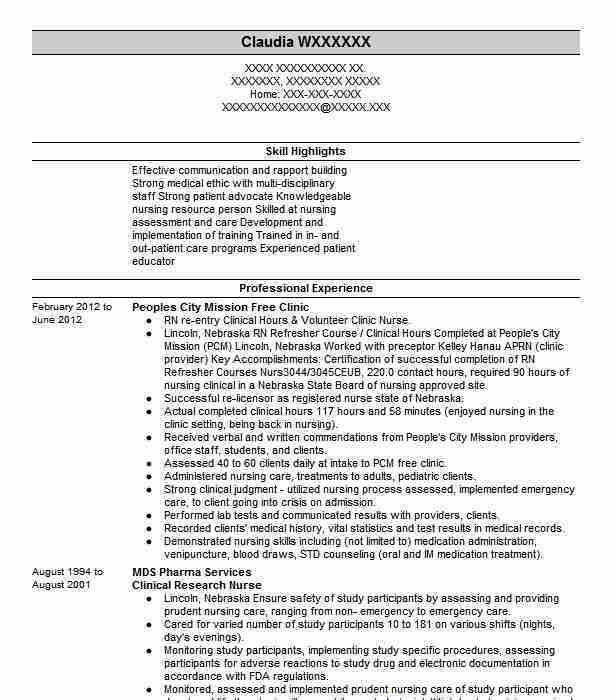 Specialize in providing comprehensive clinical and administrative nursing support. ¥ Provided patients with follow-up instructions after testing was completed. ¥ Prepared evaluations of research subjects and tracked follow-up results. ¥ Ensured that expenses for each project stayed within the allotted budget. ¥ Provided support for various clinical research projects and studies. ¥ Ensured that all project-related data was accurately recorded. ¥ Prepared and sterilized instruments for testings procedures. ¥ Compiled clinical data and identified any inconsistencies. ¥ Accessed previously collected data for comparisons. ¥ Provided information on research projects to patients and family members. ¥ Administered medications to subjects in accordance with physician orders. ¥ Ensured that all research project conformed to applicable standards. ¥ Compiled reports and worked to update data collection procedures. 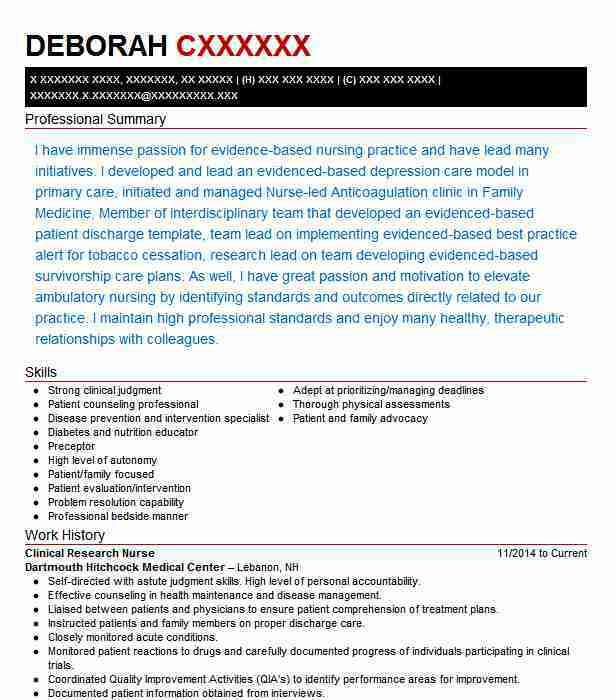 ¥ Trained in-house support staff for clinical research projects. ¥ Screened and recruited subjects for various clinical tests. ¥ Provided assistance with surgical procedures as required. 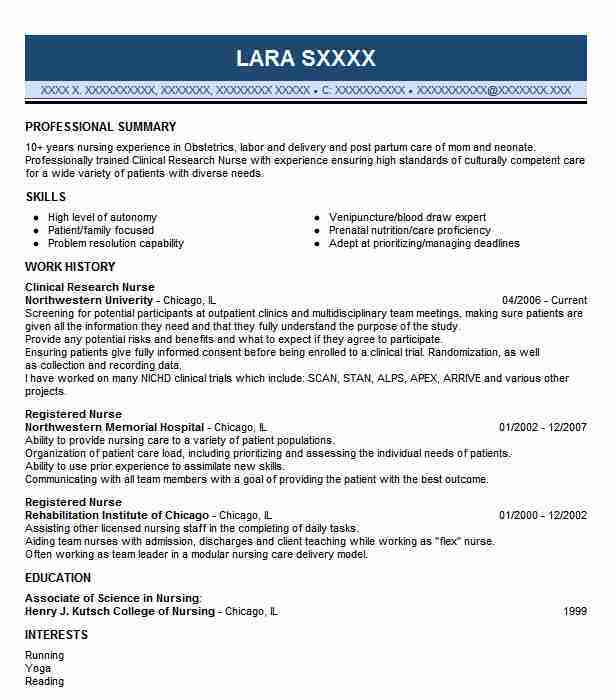 There are plenty of opportunities to land a Clinical Research Nurse job position, but it won’t just be handed to you. 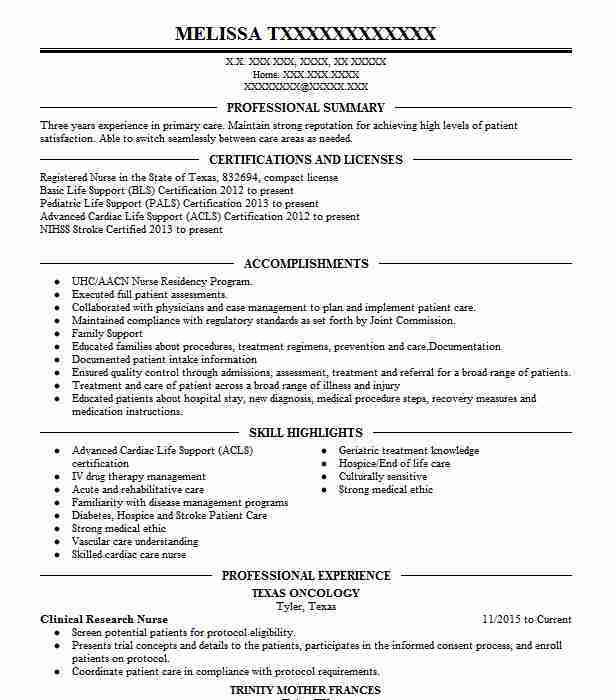 Crafting a Clinical Research Nurse resume that catches the attention of hiring managers is paramount to getting the job, and LiveCareer is here to help you stand out from the competition.